When planning to take a trip, by way of airplane, there are a number of different factors that you should consider. One of those factors includes whether or not you have a disability. Even if you do not have a disability, you also need to be prepared if you are traveling with someone else who has one. This preparation does not just include packing your bags for your trip, but it is also includes familiarizing yourself with air travel rules. Although most of the rules are the same, you will find that some rules differ for those who have a medical condition or a disability. The first step in preparing for a trip with someone who is disabled, whether that person be yourself or another traveler, is to alert the airline. When making your reservation, you may want to inform the airline staff of any disability or medical condition that you may have. Although this is not necessary, it may be a good idea, especially if you will be traveling with medical equipment. Extra accommodations will need to be made for those who are traveling, past airport security checkpoints, with wheelchairs or mobility scooters. Learning what you will need to do with these items, ahead of time, is a great way to make your travel plans run as smoothly as possible. It is also a good idea to famialrize yourself with the airport screening process. All individuals will need to go through medical detectors. 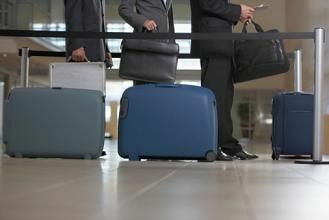 If you or someone who you know is traveling with medical equipment that will set off the alarms, it is likely that they will be pulled aside for additional screening. This screening should only take a few minutes, but it will be done by a trained professional who will show compassion when dealing with those with a disability. Unlike most other air travelers, who at this time are required to remove their shoes, those with a disability can leave their shoes on if they choose to do so. However, it is important to note that you may be subject to additional screening. To prevent this additional screening from occurring, you are advised to remove your shoes, if at all possible. In the event that you are unable to, it will not be a big ordeal. In fact, the additional screening often requires a quick swipe of a metal detector wand. In addition to those with a disability, most airports have made special arrangements and exceptions for those who have a medical condition, especially one that requires medication at a specific time. You are allowed to keep your medication with you, in your carryon luggage, but you are advised to keep the dosages in small amounts. Due to the current ban on liquids, you are advised to have the proper medical identification. This means that you should keep your medication in the original package, especially if your name is on it. To be allowed through to the next checkpoint, your name will have to match the name of the prescription bottle. If it does not, there is a chance that you will have your medication confiscated. By keeping the above mentioned points in mind you or your traveling partners, who may have a medical condition or a disability, should easily be able to make it to your intended destination. In the event that you are unsure about a particular screening procedure or if you have any other questions, you are advised to contact the airline in which you will be flying on or the airport that you will be leaving from, before your arrive there. Planning ahead is the best way to make your next flight a memorable and hassle-free experience.